This entry was posted on March 28, 2016 at 6:26 pm and is filed under Absent friends, Arts & letters, Bike stuff, Running, Sloth. You can follow any responses to this entry through the RSS 2.0 feed. You can leave a response, or trackback from your own site. Happy BD! The way I understand the fine print of the BD miles ride is that you can log the actual ride at any point before the calendar turns another 12 months. Voila…more time granted! Aha, a reprieve. Life is good, no? Thankee, Sharon. 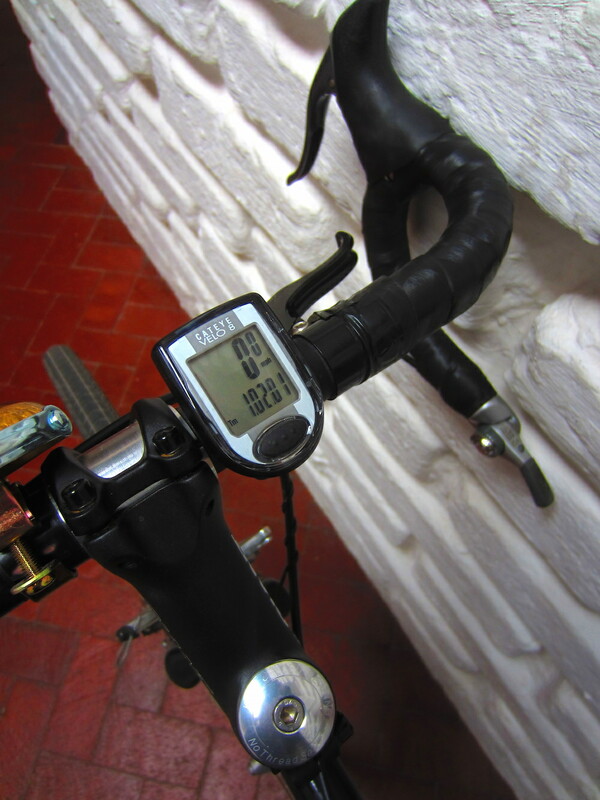 Sharon is right; you have a year to complete the birthday ride. So, you can wait until the wind speed is below 35mph and the tree pollen haze is gone. The podcast would be fun to listen to. Guess FaceTime doesn’t have the features you need. With the popularity of iPads and iPhones, we gave up on Skype and just use FaceTime. Pat, Ecamm makes a Call Recorder for FaceTime, too, but I’ve never tried it. Hal and I are both MacDudes, of course, so that’s another possibility. Herself uses FaceTime weekly to chat up Herself the Elder, and we’ve used it when one of us is on the road, too. Maybe we’ll test drive that, too. Started listening to the genre via Overcast. Free app, but if you want to pay Marco a dollar a month, he won’t stop you. Dude has five-tuned the 2x play process, so you can fly through the podcast but can still understand every word. Yessir, iTunes and Libsyn, with a link right here on the ol’ blog. Depending upon how serious we get about podcasting — Hal has a lot of irons in his fire — we may set up a brand-new, separate Libsyn-iTunes-WordPress deal. For right now it’s strictly a toe-in-the-water deal. Mostly I just want to shake up my brain-pan a little bit, stir the sludge. Old dogs need new tricks. Looking forward to your collaboration. Happy Birthday PO’G! And what happens if you don’t complete the f__ing b-day challenge? It’s YOUR birthday and you oughta be able to do whatever the hell you want, right? My father-in-law got to a certain age and said he was no longer going to do anything he didn’t want to do – no parties with people he didn’t like, no visits to places he doesn’t enjoy, etc. Of course if you still have to work, you don’t get so much freedom, but it sounds like a great idea anyway!! I’m so old I could never do my age in either miles or time, maybe ounces. Set them up Joe. Happy Birthday, I will be facing the same question in a bit, Ride my age in miles? or KMs? Tom, I did minutes this year, miles last year and kilometers the year before that, so I may be the wrong person to ask. Clearly I’m all over the map. Timepiece. Whatever. Today, I think the only thing approaching 62 are the gusts of wind around here, and there. You will will be surprised how quickly those winds blow.. I hope your trip around the sun this past year was tolerable, and that in the future, all of your wildest dreams come true.